Burgundy has its appellation for sparkling wines produced over its entire geographical area. Previously the quality of these wines was not very homogeneous and clearly did not correspond to the standards of the region, but a working group formed in 1974 laid the foundations of Crémant de Bourgogne with conditions as strict as champagne . A decree of 1975 officially devoted the appellation Crémant and after a difficult start, this appellation is currently a nice development. 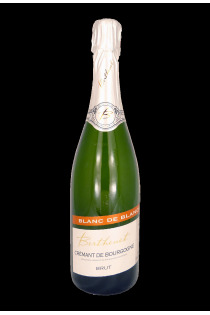 A Crémant de Bourgogne can also be from the blending of white grapes with pinot noir and gamay red with white juice vinified in white, but can also be a white of whites elaborated by a blend of chardonnay and aligoté.